New on this forum and Tokais. I Just picked up this all black Hard Puncher P/J, but having troubles finding information on this particular model. I've seen a few online with gold hardware, but they seem pretty rare. 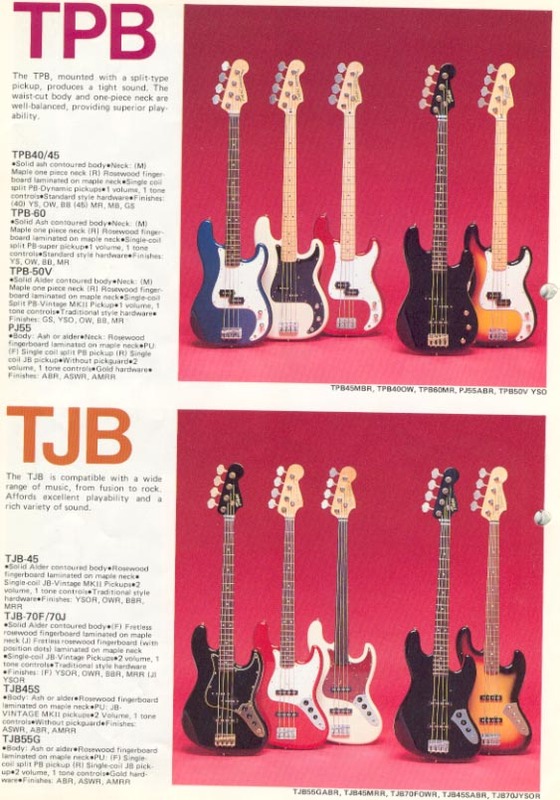 It's a wonderful bass, plays like butter, got a J-style neck and weights only 3.6 kilos. I changes the knobs, they would probably been silver from the beginning. Does anyone know when it could have been made? Seller said 82, but that does not really ad up with the logo right? The serial is 209648, which I'm having a hard time finding any information about. I probably need to switch out the tuners and the pickups are tired, and from what i understand these have fender-style compatibility in terms of tuner and pickup dimensions? 1985 0r later PJ 55.